MINNEAPOLIS, Aug. 17, 2015 /PRNewswire/ — Many aging Americans are facing a significant unexpected financial challenge: Sky-high premiums for “Universal Life” insurance policies. As the Wall Street Journal recently reported, holders of “Universal Life” policies – which were especially popular in the 1980s and are often structured to depend heavily on strong investment returns – are struggling to pay costly premiums to make up for years of low interest rates. The article recommends that policy holders “consider working with an agent to sell the policy on the life-insurance secondary market,” an option illustrated by the following case study of an actual client of life settlement provider GWG Life, LLC. “Financial concerns shouldn’t loom large during our golden years, but the long period of historically low interest rates has put tremendous financial pressure on ‘universal life’ policyholders,” said Jon Sabes, CEO and co-founder of GWG Life, LLC. The cost of insurance premiums is a growing problem as the U.S. population gets older. 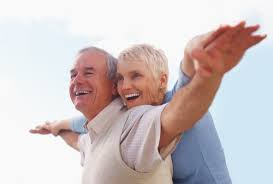 According to a 2014 Census report there were 40.3 million people aged 65 and older in 2010. The percentage of the population aged 65 and over among the total population increased from 4.1 percent in 1900 to 13.0 percent in 2010 and is projected to reach 20.9 percent by 2050. “Fortunately, effective solutions exist for many people who are 65 and older. I encourage policyholders struggling to keep up with unaffordable premiums to consult with their financial advisors to discuss options for relief, such as life settlements,” said Sabes. For more information about GWG, email info@gwglife.com or visitwww.gwglife.com.